PARTNER NEWS: Three STMicroelectronics ST25 NFC tag chips have been certified for performance and interoperability under the NFC Forum’s new NFC tag certification program, which is designed to ensure “consistent, compelling, and connected user experiences” across NFC tags, readers and handsets. ST’s ST25TA NFC Forum type 4 tag chip, ST25DV type 5 dynamic tag chip and ST25TV type 5 tag chip have all successfully passed the certification program. “More ST25 product variants are currently going through the NFC Forum certification,” ST says. 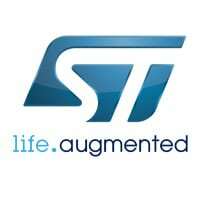 Geneva, October 12, 2017 — STMicroelectronics (NYSE: STM), a global semiconductor leader serving customers across the spectrum of electronics applications, announced the certification of its ST25 Near Field Communication (NFC) tags by the NFC Forum, a key industry and standardization body. Previously available only for handsets, tablets, and other NFC Universal devices, the NFC Forum Certification program now provides conformance testing for tags and readers to speed adoption and lower costs. Users — both commercial and consumer — will benefit from features such as direct access to websites, wireless pairing, pre-formatted emails or text messages, data logging, or even firmware updates. Apple to drop Touch ID in 2018?